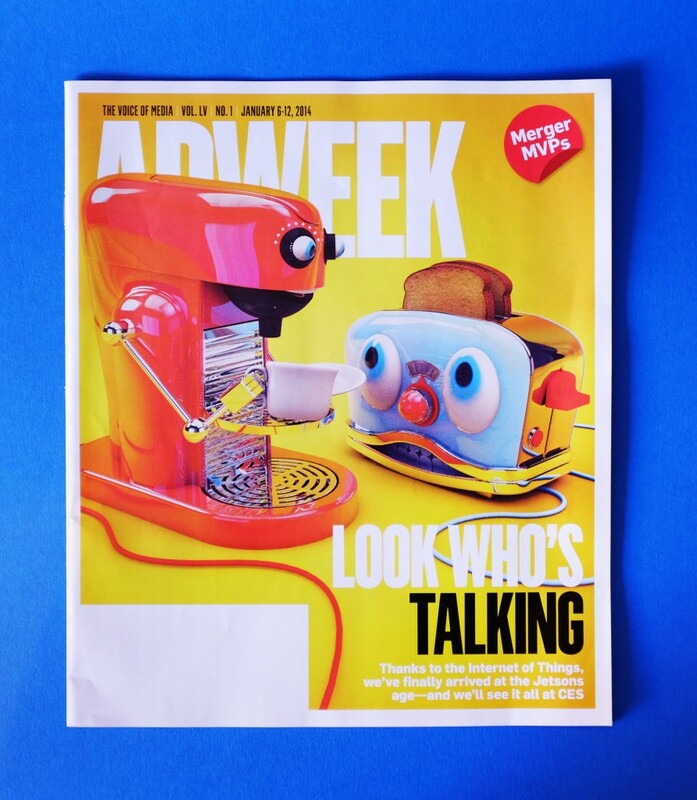 Adweek US needed a cover image for their smart-technology issue. 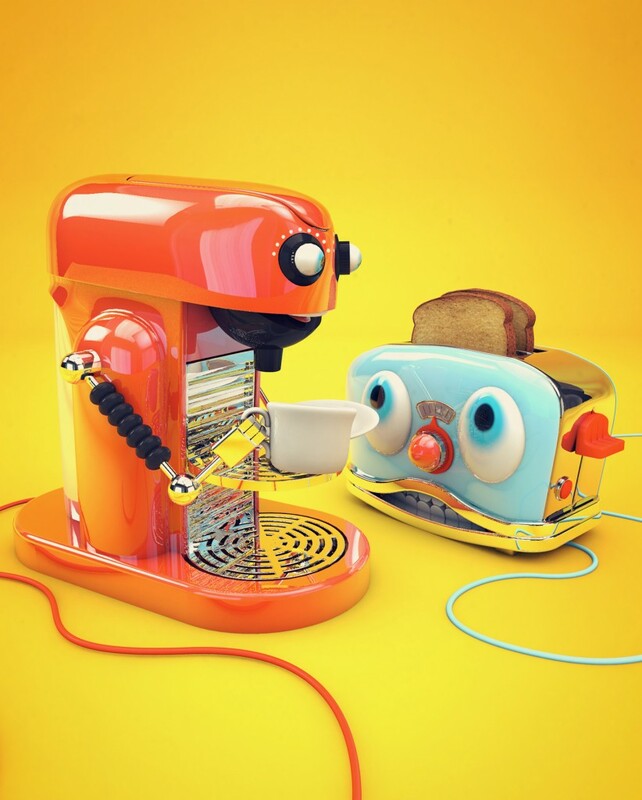 The brief was simple; create an image of a coffee maker talking to a toaster, to visualise how more and more home gadgets are being designed to sync / communicate with each other. These guys aren’t just communicating with each other though, they’re having a proper good natter.